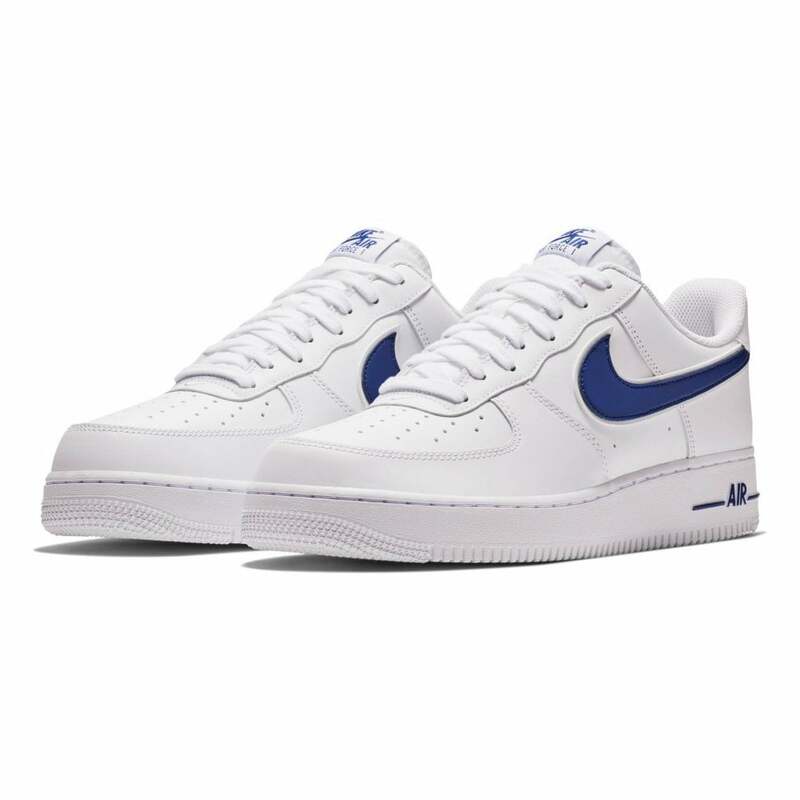 These lace-up Nike Air Force 1 '07 3 Trainers have a leather and synthetic upper and are white in colour with royal blue detail. The lining is made from a soft padded textile with textile footbed and breathable air holes for unbeatable comfort. There a modern take on the classic Air Force 1 look that blends classic style and fresh details. The Nike Swoosh appears on the sides in royal blue with additional branding on the tongue and heel also in blue. The sole is thick non-marking rubber with a wave tread for excellent grip on any surface.